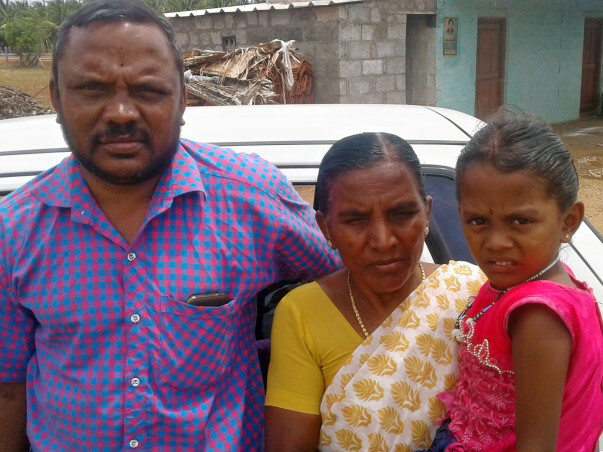 My name is Mr.Sridhar and I am a daily wage labourer. I was just able to manage my daily expenses when my child was diagnosed to have Thalassaemia major. 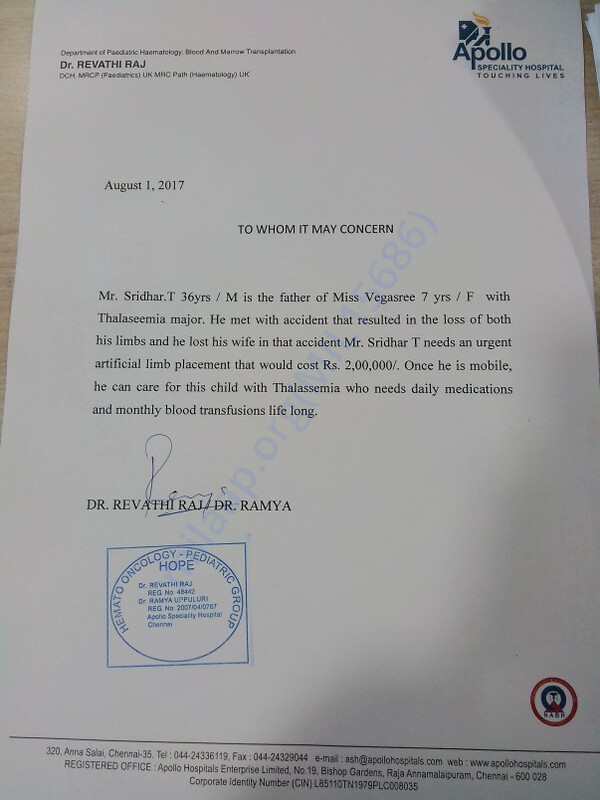 My daughter Vegasree needs monthly blood transfusion and is getting treatment at Coimbatore GH and Masonic children Hospital under Dr. Revathi Raj. I suddenly lost my wife in a road traffic accident and also one of my leg needed to amputated. My aged mother is now taking care of me and my daughter. 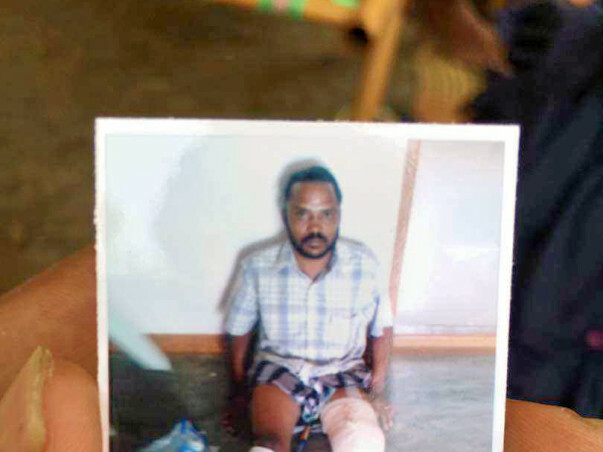 I would like to appeal to all generous donors to provide financial assistance to help place an artificial leg for Rs. 250,000 for me. This will help me get back to work and I will be able to support my child and mother once again . My contact number 9578428004.